From a parking lot in a quiet, manufacturing-dominated suburb of Los Angeles, Elon Musk and his Boring Company tonight unveiled what he believes is the future of “mass transit” and the best way to eliminate the scourge of traffic: electric, autonomous vehicles carrying an extra set of wheels, shooting through layers of thin tunnels at speeds up to 150 mph. If that sounds a little fantastical—well, duh. Musk’s presentation, punctuated by a glitzy entrance aboard a Tesla Model X that traveled through the company’s accent-lit, 1.4-mile test tunnel, filled in a few details about his ambitious plans to destroy LA congestion with new and improved tunnel boring processes. But the test tunnel still seems to be a test tunnel, and the Boring Company in a deeply experimental phase. A bevy of questions remain. Gone, too, is the Boring Company’s 16-passenger pod concept, the centerpiece of what Musk once said was a system that would put pedestrians and cyclists first. This is a system meant to carry people’s cars—as long as they are fully electric and capable of driving themselves. For those without such vehicles, Musk said, cars would continually circulate the Loop system to pick up and drop off anyone who wants a ride. Press materials provided by the Boring Company say each tunnel should one day be able to support 4,000 cars per hour—about 16,000 passengers, provided each car is nearly full. That’s the capacity of about 11.5 full (but not packed) New York City subway trains. Hawthorne’s city council allowed the company’s project to fast track through the environmental review process because it’s a demonstration, not a functional form of mass transit, and because the city concluded its construction wouldn’t disturb neighbors. Musk says the company digs so deeply beneath the earth that its tunneling isn’t perceptible from above and rightly notes tunnels are safe in earthquake-prone spots like LA. BoCo spent just under two years and $10 million building this test tunnel. Musk tweeted the Boring Company into existence in December 2016, when he cracked a joke about being so frustrated by LA traffic that he would buy a tunnel boring machine and “just start digging”. By early 2017, there was an honest-to-God hole in the SpaceX parking lot, the beginnings of the test track that the company unveiled today. Musk has argued that cities like LA can only quash traffic by going “3D down or 3D up”, and that flying cars (that would be up) are too dangerous. Thus, his vision: layers of underground road carrying hundreds of thousands of vehicles traveling at high speeds, transported into the netherworld by thousands of elevators woven throughout the sprawling city. (Musk likened system to “wormholes”.) Boring has said it will charge riders $1 each, will finance this vision itself, and won’t accept government funds. Transportation engineers and urban planners have criticized the plan, which they argue does not address the underlying causes of traffic, like bottlenecks at highway on- and off-ramps (or the elevator entrances and exits where cars will enter the system) and urban sprawl. The plan faces another foe: the public environmental review process, which can sometimes take over a decade for an infrastructure project of this ambition. To pull this off, Musk has acknowledged that he will have to bring down the cost of digging tunnels and speed up the process—dramatically. Eventually, Musk has said, he would like his modified boring machine to beat his pet snail, Gary, in a race, increasing the standard boring pace by a factor of 14. 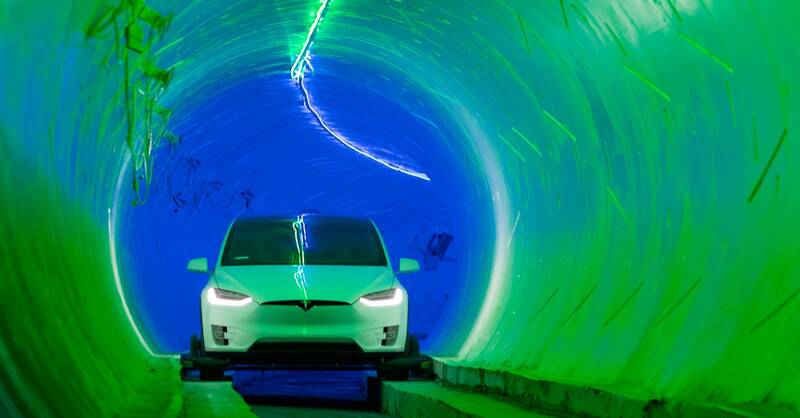 (Professional tunnel engineers have publicly cast doubt on whether Musk’s innovations are possible. Also, the original Gary is long dead. BoCo now cares after Gary VI.) He has also said his tunnels’ reduced width—about 12 feet at their widest—will also bring down costs. Musk also announced last summer that the soil unearthed by his tunneling efforts would be repurposed into bricks, which will be sold through another Muskian spinoff, The Brick Store LLC. The bricks have already been used to build a Monty Python and The Holy Grail-type tower on the grounds of SpaceX’s headquarters. BoCo has also promised to release life-size LEGO sets. One project that’s no longer on the Boring Company’s list: another test tunnel in West Los Angeles. BoCo pulled out of that project after settling a lawsuit with two local neighborhood groups, which argued the company was attempting to circumvent city rules by getting a metro-wide project appealed piecemeal. So yes, it’s been a long and confusing road to this point. Musk has proposed a raft of ideas associated with his tunneling. Many have been questionable, but most have been exciting, if for nothing but their audacity. But maybe this meandering is the way to the future. It’s certainly the way of Musk, a man who’s never been much for the traditional, stodgy way of doing things, where you mull over a plan, announce it in a carefully worded press release, then spend the next few years executing it just like you said you would. Some CEOs wear suits and sit in the backs of limos. Others emerge from tunnels in rumpled flannel. You decide which group make better showmen—and which change how things really work.